The team at Tracks Safaris are continuously travelling in Africa and the Indian Subcontinent to enhance our knowledge and expertise of the countries we offer and find new and exciting destinations, which are off the beaten track. 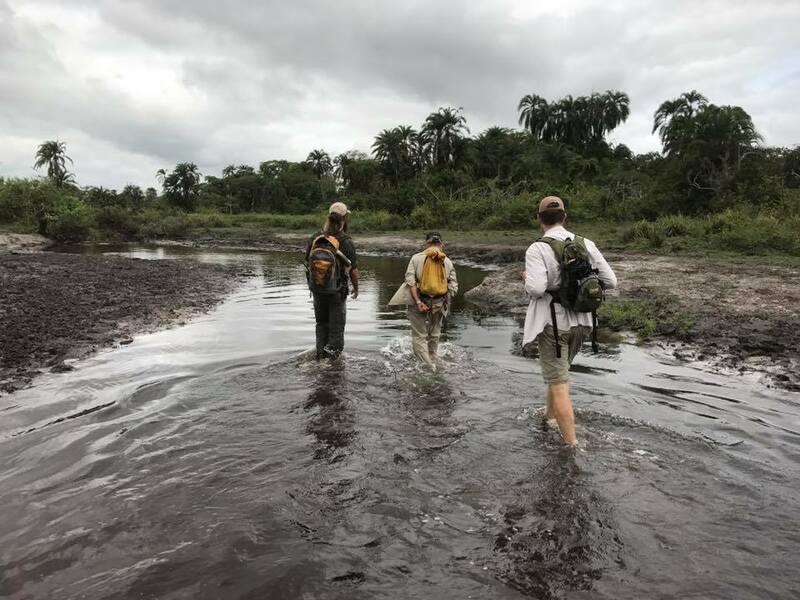 Sue Preater has recently returned from the Republic of Congo in Central Africa to check out the new scheduled weekly fly in safaris to visit Odzala National Park and the Western Lowland Gorillas. This was her second visit to the area in two years and she was very excited to be returning to this pristine wilderness destination! The Republic of the Congo (or Congo-Brazzaville) is a small, stable country which takes its name from the great Congo River that forms its southeastern border. 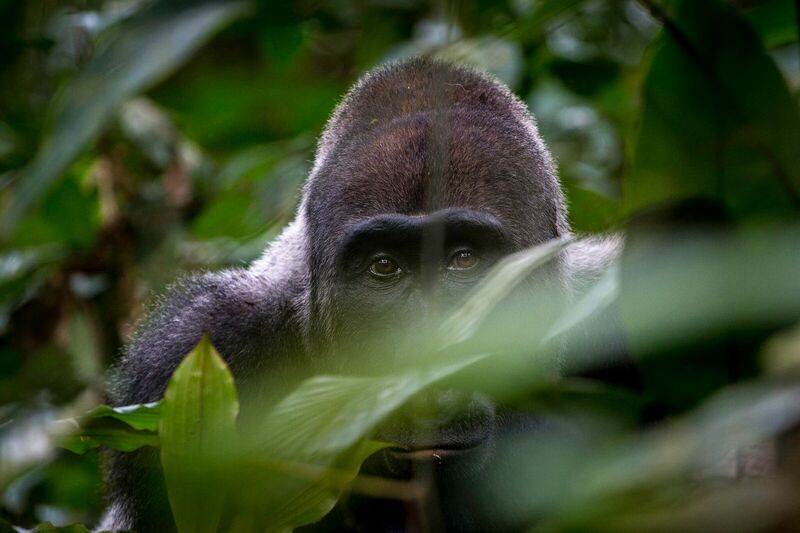 Perhaps one of the greatest wildlife attractions is the chance to trek and see a family of Western Lowland Gorillas in their natural habitat - but the country also has some other fabulous wildlife and bird viewing opportunities. This remote and little visited country is definitely a destination that this is appearing on more and more of our clients’ ‘bucket lists’ and we wanted to see just how easy it was to access the country and Odzala National Park by plane rather than the 15 hour drive previously experienced last year. Odzala-Kokoua is presently the easiest park to access in the country and has the most facilities and infrastructure. The park is situated in the North Western Corner of the country and is a 13 600km² paradise is managed by African Parks. Home to 400+ bird species, 114 mammal species and in excess of 4,400 plants species the biodiversity of the area is outstanding. Mammals you may see include Western Lowland Gorillas, Chimpanzees, a wide variety of forest primates such as Putty Nosed and Mustached Monkeys, Forest Elephant, Forest Buffalo, Spotted Hyena, Sitatunga and Bongo. The adventure starts in Brazzaville - a modern city sprawling on the banks of the Congo River on the opposite side of the river to Kinshasa in the DRC. The airport is modern and visitors are very efficiently assisted through the tangle of red tape of the airport and into the city. 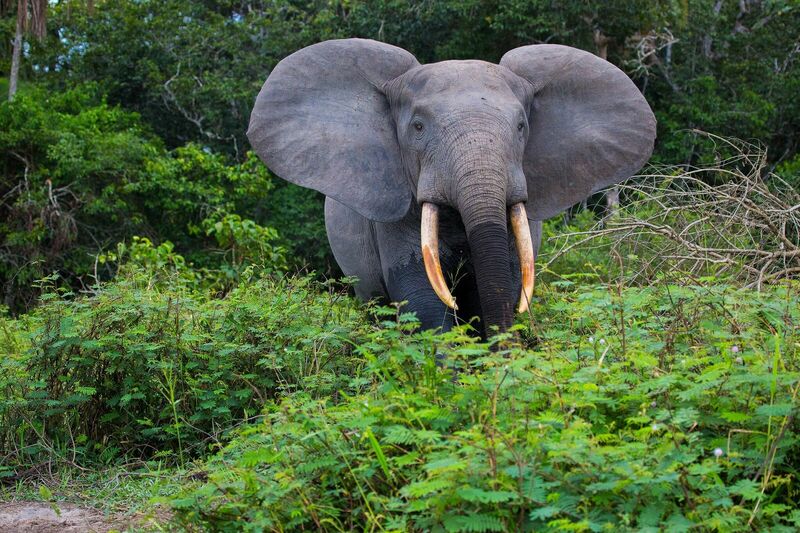 We advise a couple of days to explore Brazzaville either at the beginning or the end of your safari. Sue stayed at the Radisson Blu - a very comfortable and modern hotel with excellent accommodation, a swimming pool overlooking the Congo River and easy access into the town on foot and by car to the airport. Brazzaville is a friendly and safe city to explore by foot or taxi with some wonderful little markets and an interesting history. The flight to Odzala takes around two hours by privately operated flight - landing on the dirt runway just minutes drive from Mboko Camp. From city to pristine wilderness in just two hours! 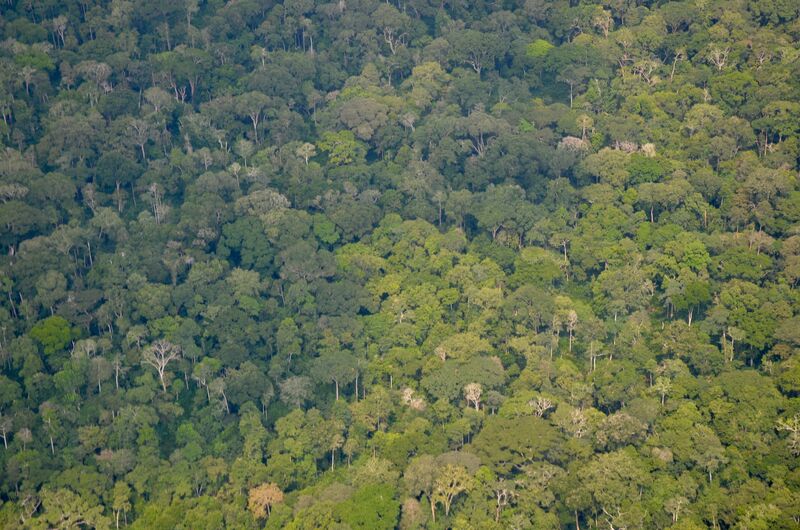 The flight takes you over huge expanses of virgin rainforest and the anticipation builds as you descend over Mboko Camp - visible from the air - and are greeted by friendly staff and a welcome drink. Mboko’s 12 comfortable guest rooms extend along the banks of a free flowing tributary of the Lekoli River. 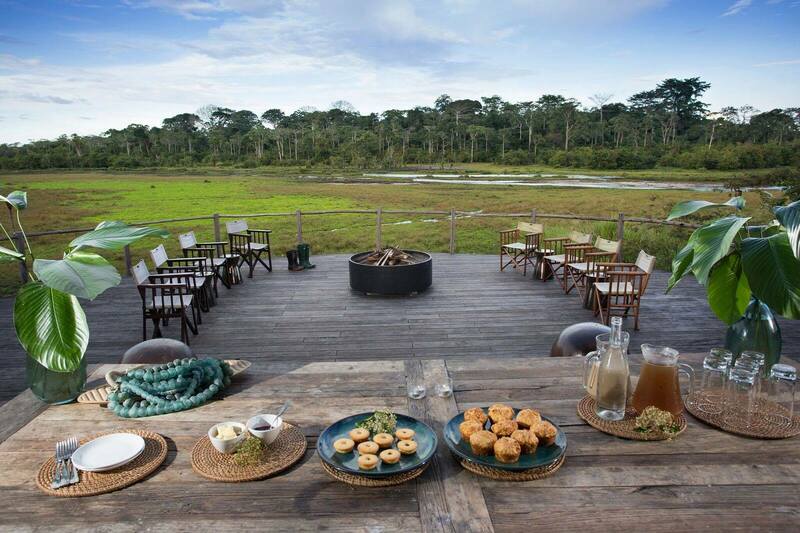 The camp is in an area of savannah frequented by forest buffalo, forest elephant and spotted hyena. Wonderfully comfortable with superb food a stay at Mboko offers the chance to explore by vehicle the forest and savannah areas looking for forest elephant whilst enjoying some of the smaller details: the profusion of insects, flowers and butterflies (depending on the season), primates and birds. 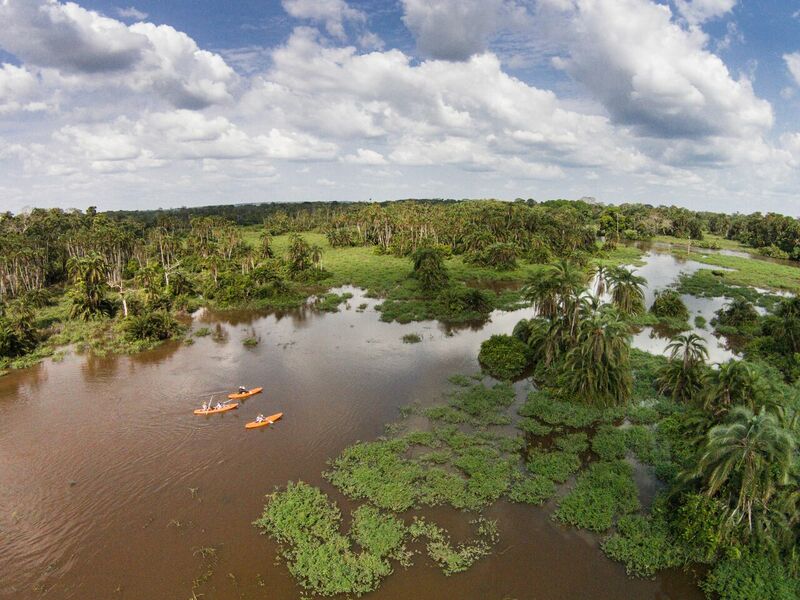 Mboko is also the launch point for the canoe safari and savannah walk to Lango Bai and also gives visitors the chance to visit local communities living on the edge of the forest. The journey to Lango Bai was one of the highlights of the trip – canoeing downstream is incredibly relaxing as you watch the canopy for Crowned, Putty Nosed and Mustached Monkeys and listen for the sound Chimpanzees in the trees lining the river. Once the canoes are securely stowed at the confluence we headed off on foot wading upstream through water and skirting around herds of Forest Buffalo knee deep in thick mud. The excitement mounted as we entered Lango Bai and had the first glimpse of camp in the distance with a welcoming committee offering cool towels and thirst quenching drinks! 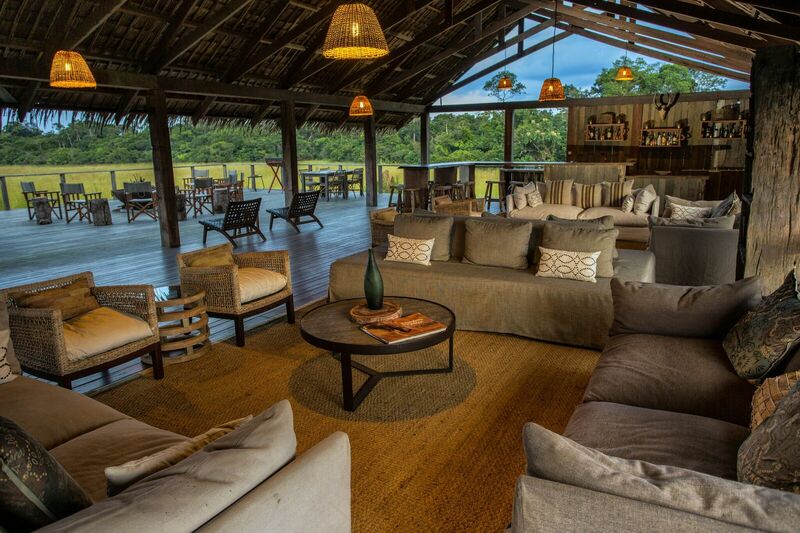 Lango’s six guest rooms are raised to the level of the surrounding forest offering superb views out onto the open marshy bai in front of the Camp. 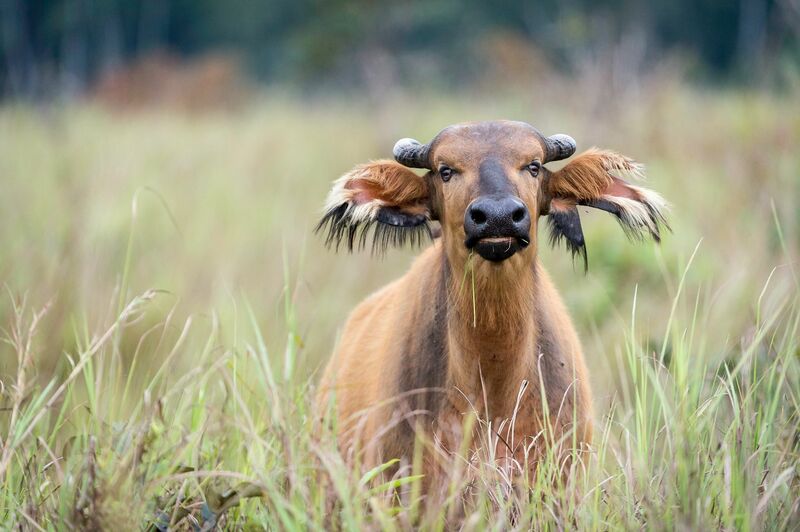 The bai holds a magnetic attraction for huge flocks of African green pigeons and African grey parrots as well as for herds of forest buffalo by day and forest elephants by night. Lango’s strategic location in the south central part of Odzala allows easy access to a variety of converging habitats. A real highlight of our stay was the chance to explore the Lekoli and Mambili Rivers by motorboat, traditional pirogue and kayak. Lango is also one of the few places in Africa where it is possible to safely explore streams and marshes on foot! 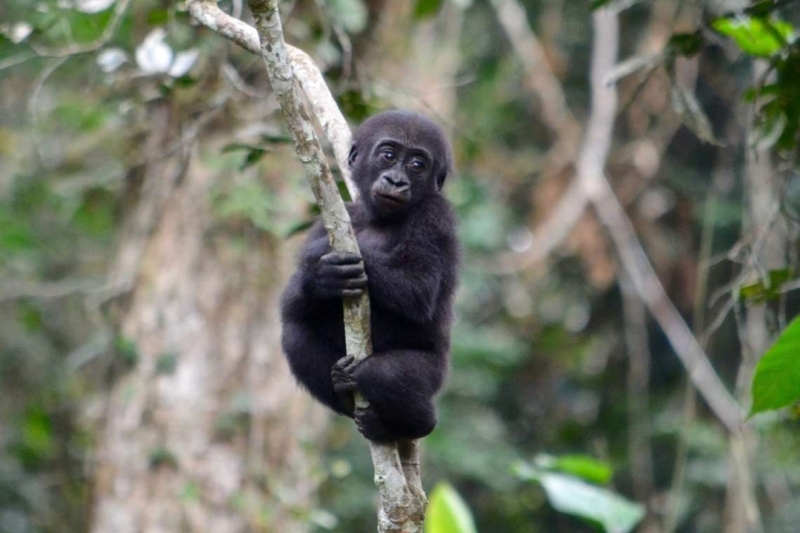 The third camp is home to the Western Lowland Gorillas. Ngaga Camp is located just outside the park boundary in the Ndzehe concession and overlooks a beautiful open glade within primary forest above a forest stream. The Camp is located within the overlapping home ranges of several groups of western lowland gorillas - two of which are habituated. Our mornings were spent trekking to see the lowland gorillas. The trek to locate them took us along well-trodden forest paths, through forest glades and through thick and impenetrable marantaceae forests. The going can be slow but the reward great as you glimpse for the first time a gorilla family in their natural habitat - in a marantaceae clearing, feeding on roots in a glade or in search of fruit in the canopy. You are allowed just one hour watching the group before heading back to camp and a fabulous lunch followed by a siesta! 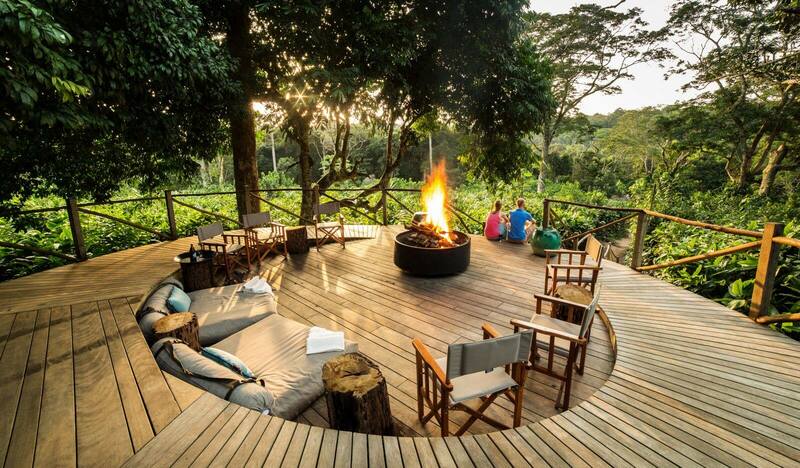 Afternoons are spent exploring the rainforest before sundowners back at the camp. Another highlight of the Odzala experience was the opportunity to talk to the in-house research team who were the first to habituate western lowland gorillas. Dr. Magda Beremejo visits Ngaga Camp in the evening to give talks to guests about her work with the gorillas around the campfire before dinner and is happy to share her knowledge and experiences through talks and presentations – a totally unique experience. All too quickly it was time to say goodbye to the rainforest and reflect on all the interesting and passionate people I have met and the wonderful and diverse wildlife I have been very lucky to see as I soar over the canopy in a large silver bird heading for the bright lights of Brazzaville! Want to go too? Then call us on 01386 830264 or email sue@trackssafaris.co.uk and talk to someone who has been there. Twice! 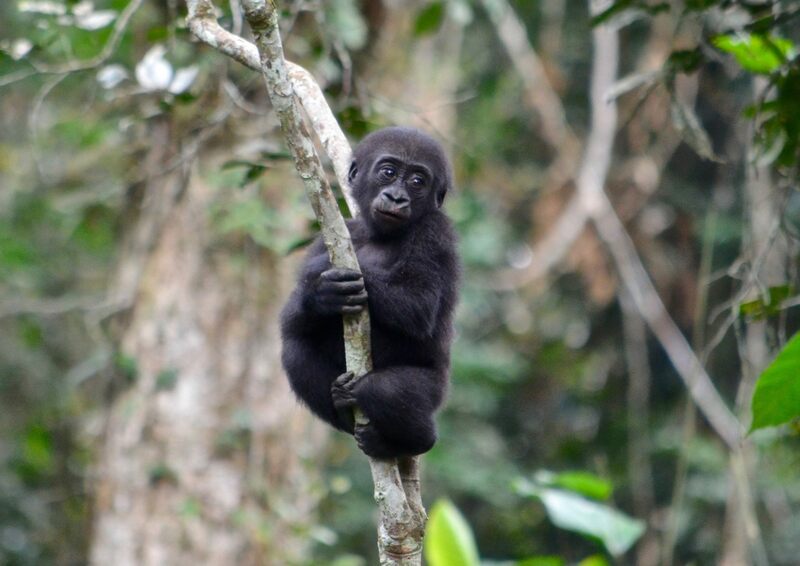 We watched a baby gorilla performing acrobatics on his tree for around half an hour!